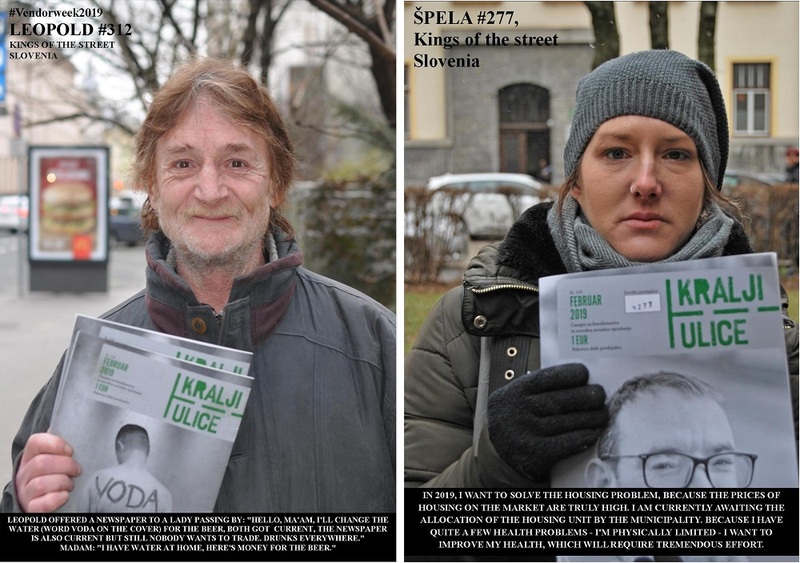 Kralji Ulice, a street paper based in Ljubljana, Slovenia, is providing a chance for its readers and devotees to get up close and personal with a selection of vendors via a series of snapshot portraits posted on their social media channels this #VendorWeek. 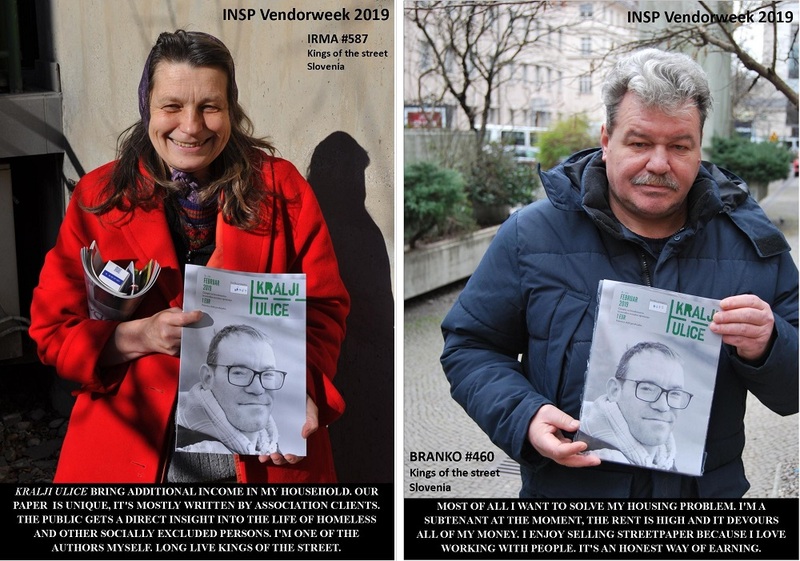 The photographs – of vendors Branko, Dejan, Irma, Leopold and Špela – are accompanied by captions, which include answers to questions posed by Kralji Ulice staff. 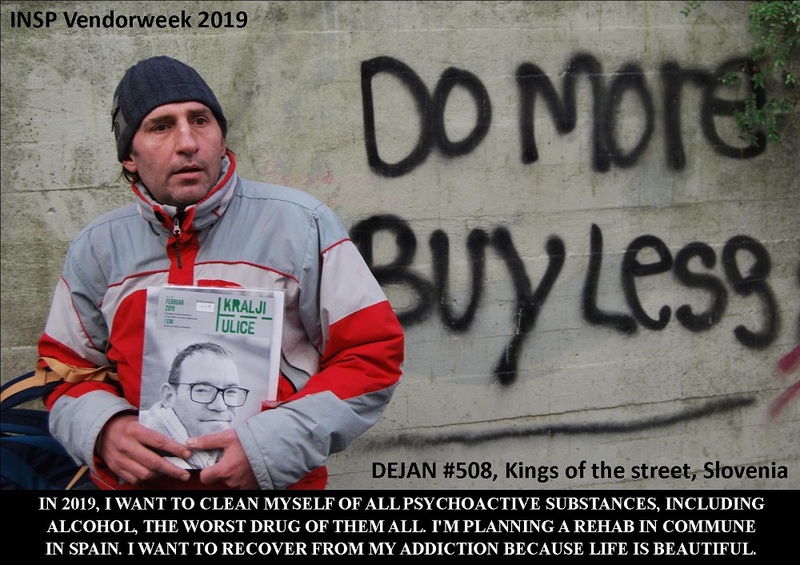 The questions aim to give us an insight into these vendors’ personalities, helping us learn about everything from their goals for the year ahead, to their very particular sales techniques. 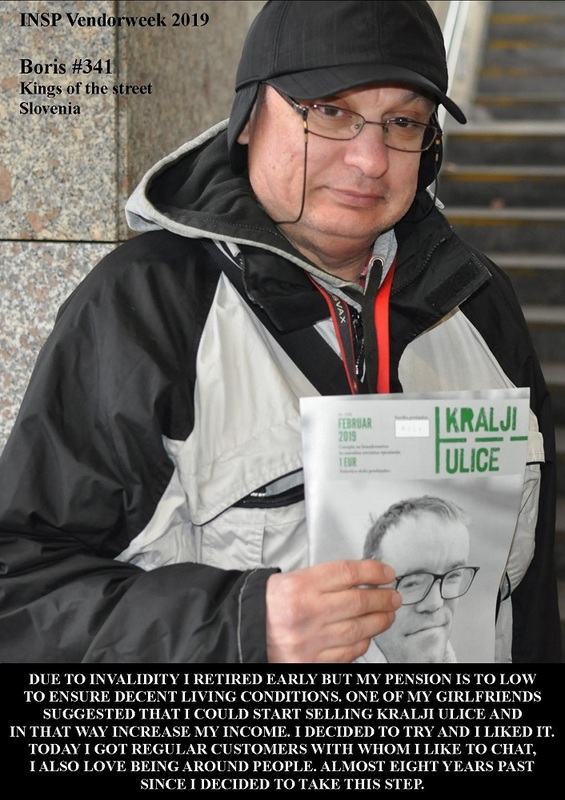 All photos by Jean Nikolič, editor-in-chief of Kralji Ulice.